A light brown,medium to large .Two crops.From Campania,Italy. A small ,white ,thin skin and a pulp of honey consistency fig. Excellent to eat and to make AGUARDENTE and ALCOHOL. A very rare (Condit ), black, large , outstanding, high quality fig from Azores. A sweet fig with extra large brebas. of brebas, second crop is small. Probably the best fig to grow in a northern climate ( better than the D. King). A very sweet, medium fig with red inside (not Lattarula). Excellent fruit, black, red flash. with 2 crops ,both large. 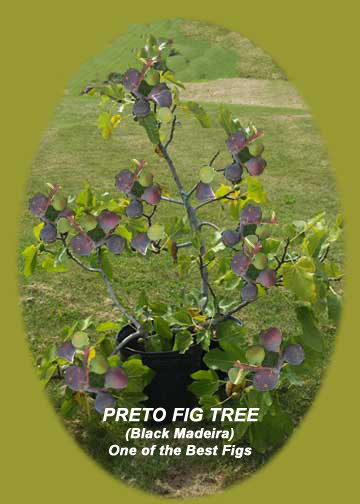 A high quality fig,from Garajau , Madeira. A median to large ,yellowish fig of high quality . Two crops . A light brownish, excellent , very large fig of high quality. A very good , excellent fig. A black , medium ,excellent , very productive fig.